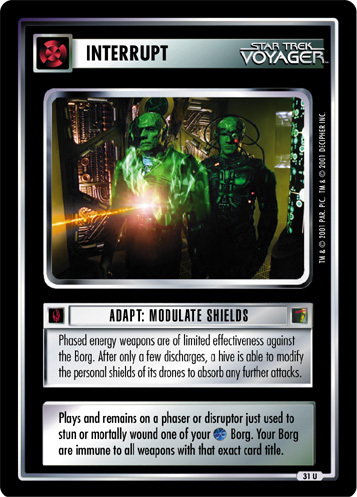 By 2375, the Borg had encountered and catalogued over 10,000 different species. 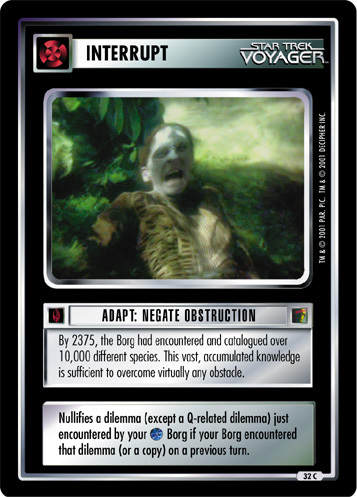 This vast, accumulated knowledge is sufficient to overcome virtually any obstacle. 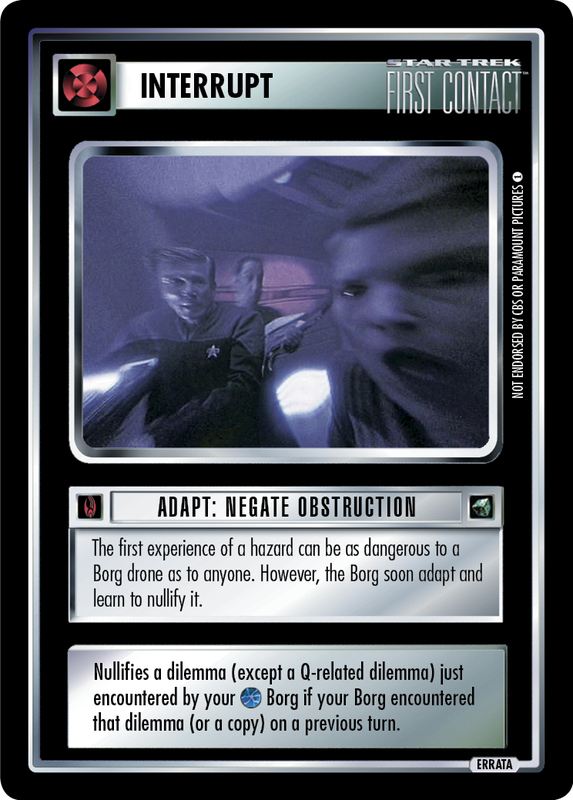 Nullifies a dilemma (except a Q-related dilemma) just encountered by your Borg if your Borg encountered that dilemma (or a copy) on a previous turn.